Two days before cooking, salt both sides of each steak with 1/2 teaspoon salt per steak. 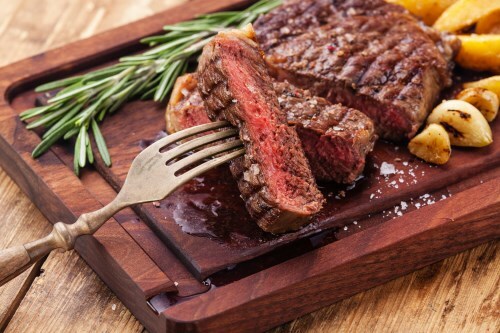 Place steaks in an airtight container and refrigerate until ready to cook. Heat cast iron pan over medium-high heat until very hot. Add extra virgin coconut oil and heat until oil shimmers.